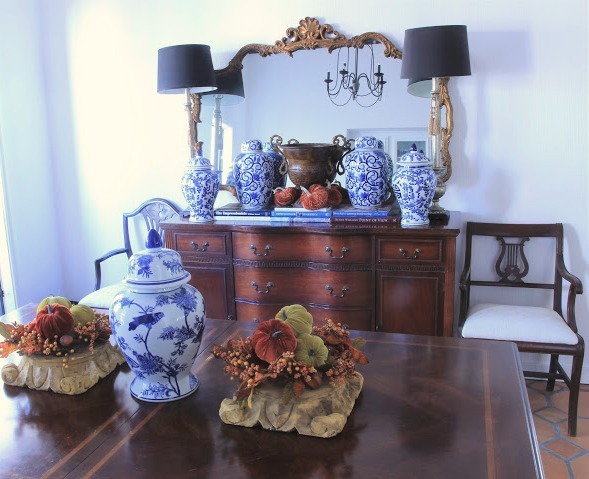 Your home is dressed beautifully for fall, Laura and your tips are spot on! I love "throw the closet and adorning the wreathe!" My Granny used to say "slap some lipstick on it!". 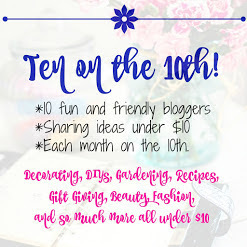 Your home is beautiful and tips are perfect!!!! Your new home is taking on your beautiful style. 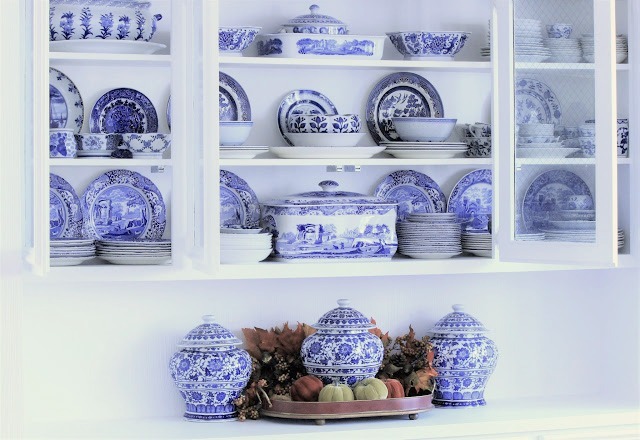 Love how you used those little pumpkins with your gorgeous blue and white collection. Ah girl! I always love your wisdom and your decor. You just get it right. Your blue and white collection is magnificent! I think your fall décor is just beautiful. I love how the blue is the focus but you just bring in the colors of the season around it! Love it!!! I think everything looks fallish and lovely. I can't believe you found those velvet pumpkins at KMart. I didn't even know there were any of those still around. Love the tips and all of your little sayings. I love the blue and white as you know. Hugs and blessings dear lady. When you said "these items live with us" I thought, you are my kind of collector. They DO live with us and have their own style, charm, personality. I love your K-Mart pumpkins (who could tell?) and all the beautiful ways you've integrated your style with the season. Great tips and related in such a fun, memorable way. It's more challenging and satisfying to be creative with things you have and cherish. It's like running into old friends a few times a year. This is good stuff, Laura! I agree about the throw the closet! You'll know when its enough! And yes, the decor must fit into our life, not the other way around! Everything looks just lovely. Your collection of blue and white is fantastic and I, too, think everything and anything goes with blue and white. Love the 'throw the closet'...gotta love that sweet Celeste...and the adorn the wreath is pretty funny, too. Good tips, Laura! I love your mountain, and yes, blue and orange are complimentary colors! ;-) I love using my blue and white pieces paired with rusty orange this time of year. Happy Fall! Great tips and your home looks beautiful. Hope your week is full of treats, Laura.